The St. Mary's County School Health Council will meet on Monday, June 4, 2018, from 5:00-6:30 p.m. The meeting will be held in the Board of Education Meeting Room, at 23160 Moakley Street, Leonardtown, Maryland 20650. 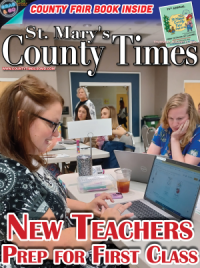 The St. Mary's County School Health Council acts in an advisory capacity to the Board of Education of St. Mary's County on health issues that potentially impact students, their families and employees of St. Mary's County Public Schools. For more information, please contact Dr. Andrew C. Roper, Supervisor of Physical Education/Health/Athletics, at 301-475-5511, ext. 32104. Superintendent of Schools, Dr. J. Scott Smith, would like to announce the outstanding employees that have been recognized for their service and dedication to St. Mary's County Public Schools. Ms. Patricia Herr, Pre-K 4 Paraeducator, at George Washington Carver Elementary School, and Ms. Heather Russell, Secretary I, at Chopticon High School have been selected as the Educational Support Professional of the Year award winners. The Educational Support Professional of the Year award was established in 2009 to recognize the essential role support staff has on the success of the school system by fostering a positive learning environment for students. Ms. Herr has been employed with St. Mary's County Public Schools for three years. Ms. Russell has been employed with St. Mary's County Public Schools for five years. Ms. Sarah Lorek, Music Teacher, at Chopticon High School, has been selected as the representative from St. Mary's County Public Schools for the Maryland Teacher of the Year program. Ms. Lorek has been employed with St. Mary's County Public Schools for fifteen years. She will compete against other teachers from across the State of Maryland for the Maryland Teacher of the Year Award. Ms. Lorek holds a Master's Degree in Music Education from Florida State University and a Bachelor's Degree in Music Education from the University of Delaware. Ms. Heather Husk, Social Studies Teacher at Leonardtown Middle School, has been selected as the representative from St. Mary's County Public Schools for the Washington Post Teacher of the Year program. 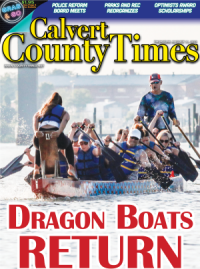 Ms. Husk has been employed with St. Mary's County Public Schools for fourteen years. She was a finalist for the Washington Post Teacher of the Year Award competing against other teachers from public and private schools throughout the District of Columbia, Maryland, and Virginia. Ms. Husk holds a Master's Degree in Educational Leadership from Notre Dame of Maryland with an Administrator I endorsement and a Bachelor's Degree in History from St. Mary's College of Maryland. Ms. Beth Ramsey, Principal of Captain Walter Francis Duke Elementary School, has been selected as the representative from St. Mary's County Public Schools for the Washington Post Principal of the Year program. Ms. Ramsey has been employed with St. Mary's County Public Schools for eight years, the last six in the role of principal. She was a finalist for the Washington Post Principal of the Year Award competing against other principals from public and private schools throughout the District of Columbia, Maryland, and Virginia. Ms. Ramsey holds a Master's Degree in Reading from Towson University and a Bachelor's Degree in Human Studies/Education from St. Mary's College of Maryland. Mr. Chuck Dunbar, Assistant Principal of Great Mills High School, and Ms. Becky Loker, Supervisor of Elementary Mathematics, have been selected as the Leader of Excellence award winners. The Leader of Excellence award was established in 2018 to recognize the essential role administrative or supervisory staff has on the success of the school system by fostering cooperation between the school or school system and the community. Mr. Dunbar has been employed with St. Mary's County Public Schools for eleven years, the last five in the role of assistant principal. Mr. Dunbar holds a Master's Degree in Guidance and Counseling from Bowie State University and a Bachelor's Degree in Behavior Science from Glenville State College. Ms. Loker has been employed with St. Mary's County Public Schools for nineteen years, the last eight in the role of supervisor. Ms. Loker holds a Master's Degree in Reading from Towson University and a Bachelor's Degree in History from the College of William and Mary. As we celebrate Teacher Appreciation Week, we not only thank our teachers, but principals, administrative and support staff as well. Every employee makes an important contribution to the success of our students. Ms. Herr, Ms. Russell, Ms. Lorek, Ms. Husk, Ms. Ramsey, Mr. Dunbar and Ms. Loker will represent the school system at the Board of Education meeting on Wednesday, April 25, 2018, in recognition of Teacher Appreciation Week. All nominees for the Educational Support Professional of the Year, Teacher of the Year, and Principal of the Year, will be recognized on Thursday, May 10, 2018, at Chopticon High School, beginning at 5:00 p.m. along with other St. Mary's County Public School staff recognitions.